Our website is best viewed in Internet Explorer. All of the contents including pictures and personal accounts of our experiences, posted here on our website are products from our travels and visits across various countries in Southeast Asia which include Thailand, Cambodia, Singapore, Malaysia and Bali. So the following pages are full of helpful information, photos and prices etc of things we have enjoyed while overseas such as, shopping, restaurants, what to see and do, transport, money and much much more. Any country you go to on my pages that has no info on it is because I have not yet completed it. I will be going in the order of the above navigation bar, e.g. Thailand completed, then Cambodia and so on, so please keep coming back! 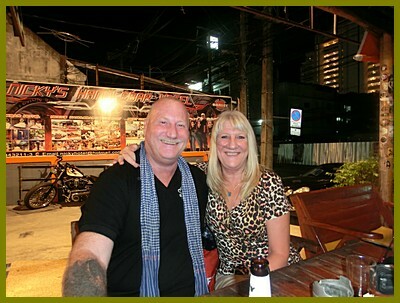 We returned home at the end of October 2014 after spending 6 months in Thailand, Phuket, Bangkok, Nakhon Si Thammarat, Krabi, Koh Samui, Kuala Lumpur, Cambodia and another 2 week drive around Thailand). 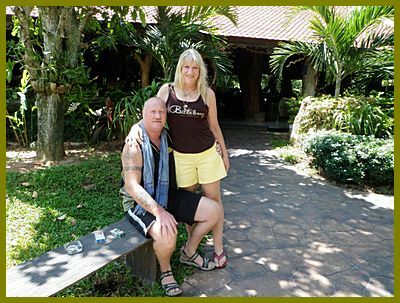 Our next holiday is May 2015 and we will be spending another 6 months in various areas of Thailand, with a slight detour to Cambodia as well.